One of the biggest challenges for any business or property owner is obtaining the financing needed to improve their structure and in turn grow the business. While a thriving business may have cash flow or you might have the ability to borrow money through traditional financing, this isn’t always the case—especially for companies still in the growth stage. What if there was a way to borrow the cash you needed with the assurance that paying it back wouldn’t be a problem? 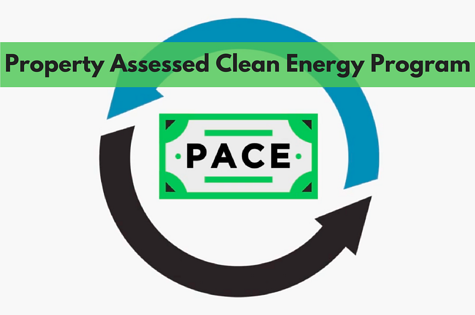 Depending on the improvements you’re hoping to make, PACE (Property Assessed Clean Energy) could be an ideal solution. What is the PACE Program? PACE stands for “Property Assessed Clean Energy.” PACE is a program offering financing for energy efficient, conservation and renewable energy upgrades. A property owner can utilize PACE to pay for upgrades like energy efficient HVAC systems, solar panels, improved insulation and other clean energy upgrades. PACE can be used for nearly any property type—from residential to commercial and everything in between. Your local municipality would hold the lien on the building, making upkeep on the financing simple. For financing, PACE is ideal because it may allow you to cover the entirety of the project’s hard AND soft costs (such as labor and maintenance). Also, for large projects, there are financing terms available for up to 20 years. Because PACE is a financing program, it can be combined with incentive programs available federally, locally or from your utility company. Here's a quick video from PACE Nation eplaining the program. What are the Benefits of PACE for Commercial Building Owners? For commercial business owners, one certainty is that there can never be enough liquid capital. Why not retain your savings and pay for the upgrades without spending anything out of pocket? If you are looking to make meaningful changes to your building, a short-term financing solution may not be practical. PACE allows you to spread payback over 20 years so that you can complete the “dream” improvements for your property, not just the "must do" quick fixes. The PACE program is a great option for many commercial building owners. Check out the video provided or visit the PACE Nation site for tools to find out if your area has an active program and to help you get started. PACE could be the financial tool you need to upgrade your building and create energy savings that puts money into your bank account and helps you feel good about what you do for the environment.